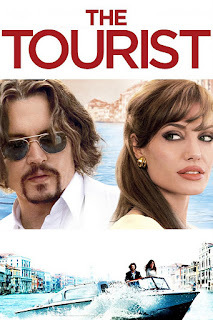 A very average movie with Johnny Depp playing Frank Tupelo a seemingly ordinary tourist visiting Italy and Angelina Jolie plays Elise Clifton-Ward a very exceptional woman who is wanted by the police. The police follow Elise to catch her boyfriend a faceless criminal… But Elise misleads the cops by choosing a decoy in the train… guess who that it oh yes! It’s Frank. The movie has some chase scenes and as the movie progresses so does the infatuations between Frank and Elise. The movie is actually very predictable and the suspense at the end is not really… a big secret but the movie is very much watchable. To see two people with such star power… on screen is really nice. I like the movie… It’s a great way to pass time, nothing really special about the movie… just your average movie. The scenery is really great… something to look forward to in the movie. It’s Depp and Jolie… you should watch it!